Saturated fats make up 35% of total fat intake in the US (1). Intakes were believed to remain the same between 1909 and 2000, but between 1995-2005, intake levels declined (2). From 1960 to 2000, intake of polyunsaturated fats increased significantly (3). As intake of medium chain fatty acids (MCFA’s) from coconut and MCT oil is relatively low in the US diet, intake of long-chain saturated fatty acids (LCFAs) predominates total intake of saturated fat. Why worry about differences in saturated fats? Shouldn't I limit them anyway? Dietary guidelines have focused largely on limiting saturated fats as a whole - and do not clarify what type of saturated fat they are talking about. After reading about how differently these short and medium chain fats are digested, you might be upset that the guidelines do not give clearer guidance. Here is a quick slideshow on the topics discussed in detail below. As you will find, not all fats are made alike. This article will focus on the unique metabolism of the medium chain fatty acids (caprylic acid, capric acid, and lauric acid) found in MCT-rich coconut oil and palm oil. This special metabolic pathway is shared by short chain fatty acids (SCFA’s) such as butyrate which can be derived by healthy bacteria in the gut and medium chain monoglycerides such as monolaurin which is naturally found in breastmilk, but also can be derived from coconut oil. SCFA’s and MCFA’s are metabolized differently from LCFAs which are predominantly found in beef and dairy products. 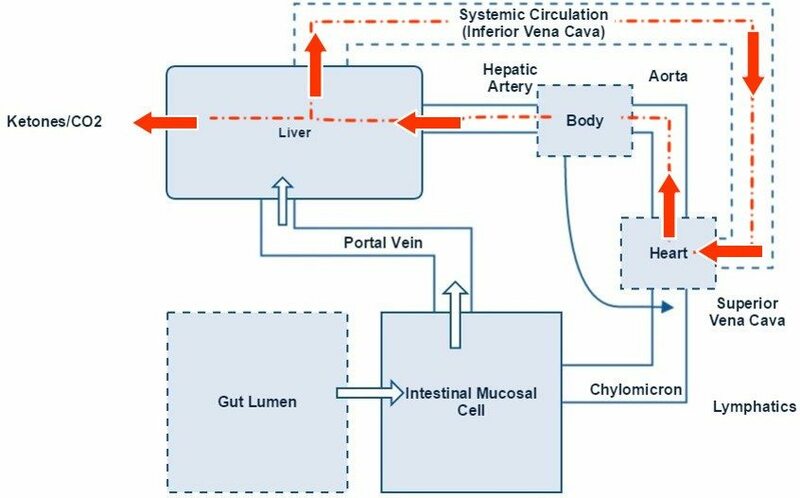 SCFAs and MCFAs can be absorbed throughout the intestine into the portal vein where they are metabolized in the liver for energy at less calories per gram than LCFAs (4; 6; 7). Unlike LCFAs, SCFAs and MCFAs do not need to be transported through the lymphatic system by chylomicrons. They do not require carnitine for transport into the mitochondria, and do not require bile acids or pancreatic lipase to be absorbed (6; 7; 8; 9; 10). MCFAs are also burned for energy in the form of ketones as fast as glucose (11). MCFA’s have a caloric value of 6.8kcal/gram compared to 4kcal/g for carbohydrates and 9kcal/g for LCFAs, monounsaturated fatty acids and polyunsaturated fatty acids. 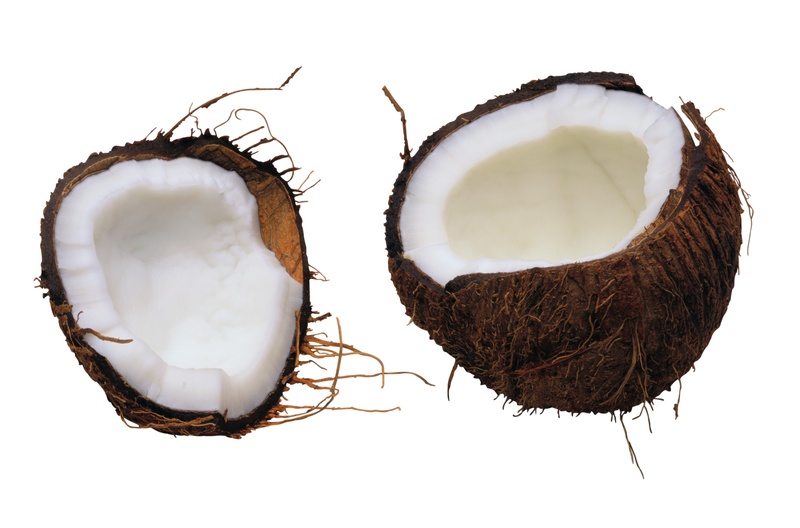 Coconut oil’s energy value is roughly 8kcal/gram since it does contain some LCFAs (12; 13). MCFAs, their corresponding monoglycerides and free fatty acids that are not metabolized right away, recycle in the circulation where they exert systemic effects (see Chart 1). MCFAs have thermogenic properties that may help support energy utilization and fat oxidation (14; 15; 16; 17; 18; 19; 20; 21). In other words, coconut oil fats may help with weight loss. They can enter the mitochondria without the help of carnitine, and yield energy quickly. In addition to the thermogenic increase in calorie burning, MCFAs may also induce greater satiety after eating, and help support maintenance of healthy weight when compared to other saturated fatty acids (9; 14; 22; 23; 24; 25; 26; 27; 28; 29; 30). Improvements in body composition have been reported in men, while there are mixed results for women (15; 31; 32). The key metabolic differences between SCFAS/MCFA’s and LCFA’s are summarized in Table 1. Due to the unique metabolic pathway of MCFA’s, some researchers have turned to MCFAs as possible weight loss or exercise performance aid. MCFA’s improve lipid oxidation, act as a readily available fuel source, and may help spare muscle glycogen in athletes (33). MCFA’s may support weight loss (34; 35) and have increased exercise performance in animal studies (36). The intakes needed to achieve a performance boosting effect in humans are likely too high to be tolerable for long-term compliance as such intakes would distress the gastrointestinal tract (37; 38; 39). 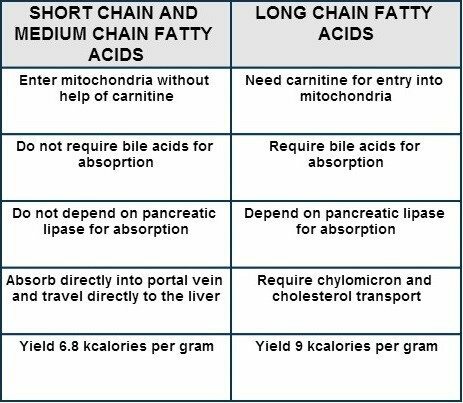 Table 1:Key Differences between the metabolism of Short Chain and Medium Chain Fatty Acids and Long Chain Fatty Acids. Despite the unique differences in metabolism for SCFAs, MCFAs, and LCFAs, the AHA, USDA, and ADA (AND) recommend diets low in all saturated fats (<7-10% saturated fat) to reduce incidence of cardiovascular disease (40; 41; 42). Despite an increase in the allowance of total fat as a percentage of daily calories, the 2015 Dietary Guidelines for Americans 2015-2020 (DGA) increased the allowance of total fat as a percentage of daily calories, but recommend that saturated fats still be limited to less than 10% of total calories (43). 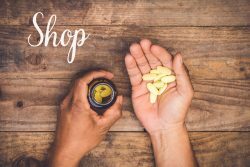 Should the potential health benefits of coconut oil and MCT oil be ignored? The DGA focus on short, medium and long-chain saturated fats as a whole; individual recommendations for SCFA’s, MCFA’s, and LCFA’s have not been elucidated despite their distinct metabolic differences.